“Oh I am sure that there are Hamas members on the UNRWA payroll and I don’t see that as a crime.” Said Peter Hansen, the former Commissioner-General of UNRWA in an interview with Canada Broadcasting Corporation TV. “We demand of our staff, whatever their political persuasion is, that they behave in accordance with UN standards and norms for neutrality,” he added. That interview, given by Hansen at an international UNRWA conference in Geneva in June, 2004, cost Hansen his job. Hamas is recognized as a terror organization by many of the countries that fund UNRWA and UNRWA has been linked with Hamas in countless scenarios. So, according to the former Commissioner-General of UNRWA what exactly is the standard of neutrality which UNRWA is being held to? 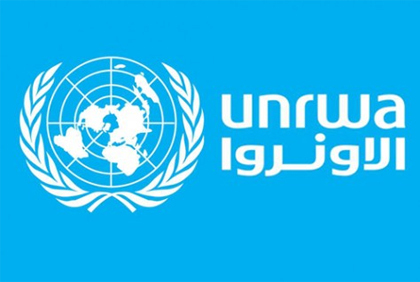 UNRWA’s own internal audit arm, Office of Internal Oversight Services (OIOS) published in 2010 the results of a comprehensive investigation, which found that there are inadequacies in internal functions and controls, thus rendering UNRWA vulnerable to corruption. In 2014 Hamas fired rockets from UNRWA schools in Gaza and stored weapons in UNRWA classrooms, as uncovered and determined by an independent UN inquiry in 2015. In 2014, 2015, and 2017 Hamas tunnels were discovered running under UNRWA schools. UNRWA textbooks are saturated with incitement to commit terror and promotion of antisemitism. One example is in a fifth grade textbook, which includes a picture of Dalal al-Mughrabi, who in 1978 led the terrorist attack on an Israeli bus, and murdered 38 Israeli civilians, including 13 children. Alongside her picture is a text lionizing her as a martyr who “painted with her struggle a picture of challenge and heroism which has made her memory eternal in our hearts and minds.” – Arabic Language, Grade 5, Part 2 (2017) p. 51. Muhammad al-Jamassi, senior executive in charge of UNRWA’s infrastructure engineering, was elected to Hamas’s political bureau and has been a member of Hamas since 2007. Suhail al-Hindi, while still a teacher at an UNRWA school and the chairman of the UNRWA Employees’ Union in Gaza, was announced as a leader of Hamas in the 2017 “election,” while still remaining his position in UNRWA. He has since resigned after Israel demanded action be taken. UNWatch published a study in February 2017 that found 30 cases of incitement to and glorification of terrorist violence by UNRWA faculty members’ social media, some even posting to their students. UNRWA teachers and staffers celebrating the murders of Jews, terrorist kidnapping of Israeli teenagers, cheering rockets being fired at Israeli civilian centers, endorsing violence, erasing Israel from the map, praising Hitler and posting Hitler’s photo. Is this the UN’s definition of “neutrality”? UNRWA is masquerading as a neutral, nonpolitical entity with a mission to bring aid to Palestinian Arab civilians, when in reality it has been serving as a hotbed for terrorism and for perpetuating the victimhood of the Palestinian people. While other agencies, such as UNHCR, the United Nations High Commissioner for Refugees, are designed to solve refugee problems by trying to resettle people and rid them of their refugee status, and then help people return to normal lives; UNRWA has done the opposite. It has created its own meaning of what defines a refugee, classifying all descendants of the original 1948 war as Palestinian Arab refugees. The original amount of refugees was around 700,000 in 1949, and now around 4.5 million Palestinians are registered to receive aid from UNRWA. If the definition of a refugee was based on the criteria of actually being displaced and without a nation, like it is all for all other refugees worldwide under the UNHCR, then millions of Palestinian “refugees” living in Jordan, Syria, Lebanon, etc. would be off the payroll provided by UNRWA (courtesy in large part to the largess of many Western nations). Palestinian Arab leadership and UNRWA keep people in a form of permanent refugee status is a way of manipulating the population to believe that the co-opted “Right of Return” is the only way they will be emancipated. They are taught in UNRWA schools that their only recourse for no longer being “refugees” is to destroy by force the Nation of Israel and the Jewish people and “return” to the land. “From the river to the sea, no matter how long it takes,” Sunia Astal, UNRWA teacher, posted to Facebook with a picture of a militant holding a rifle. Unless one’s goal is the perpetuation of the war and of Palestinian Arab suffering under totalitarian leaders and groups like Hamas, UNRWA is plainly an ineffective agency, which does not help its constituent members. UNRWA exacerbates the problem all while it supports Hamas and its terrorist agenda. Miseducation and incitement of Palestinian Arab youth must end. It is up to all nations who fund UNRWA to demand accountability and reform and to cease their financial support until such reforms occur.